Jeep® expands its global reach with its all-new 2017 Jeep® Compass. To be manufactured in Brazil, China, Mexico, and India, the all-new Compass will be sold in more than 100 countries around the world. 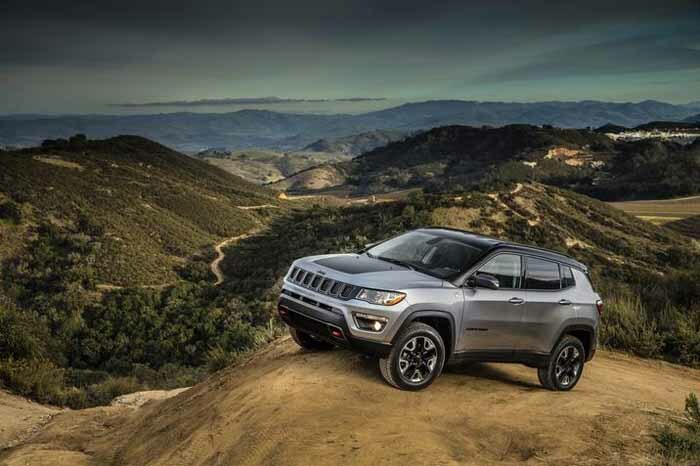 The all-new Jeep Compass delivers a legendary and best-in-class off-road capability, which also offers advanced fuel-efficient powertrains, superior on-road driving dynamics, open-air freedom, and innovative safety and advanced technology. Courtesy of two advanced intelligent 4×4 systems, the 2017 Jeep Compass can send 100 percent of available torque to any one wheel variants: a full-time 4×4 system Jeep Active Drive; and a class-exclusive full-time 4×4 system with 20:1 crawl ratio Jeep Active Drive Low. Both Jeep Active Drive and Active Drive Low 4×4 systems include the Jeep Selec-Terrain system, providing up to five modes – Auto, Snow, Sand, and Mud Mode, plus Rock mode which is exclusive for the Trailhawk model — for the best four-wheel-drive performance on- or off-road and in any weather condition. For even greater Trail Rated off-road capability, Selec-Terrain includes Selec-Speed Control with Hill-descent Control on Trailhawk models. The Compass features a disconnecting rear axle and power take-off unit (PTU)vin order to provide 4×4 models with enhanced fuel economy. Jeep Active Drive and Active Drive Low 4×4 systems instantly engage when 4×4 traction is needed. It also boasts of a rigid foundation. The upper body structure and frame are engineered as a single unit for a stiff and more mass-efficient structure, and it is designed and built with an extensive use of high-strength steel and liberal use of structural adhesives. More than 65 percent high-strength steel is used for maximizing vehicle dynamics and crash performance while optimizing weight efficiency. A total of five engines – three gasoline and two diesel – will be offered depending on the country’s market. The 2017 Jeep Compass is available in four different trim configurations: Sport, Latitude, Limited, and Trailhawk.